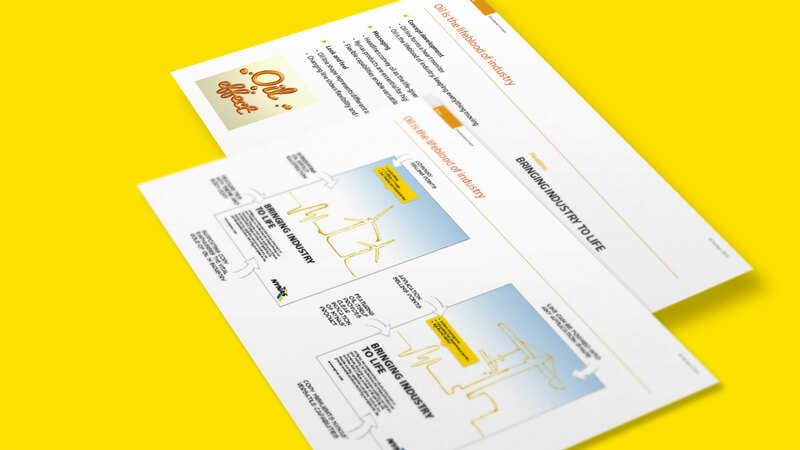 When Nynas – a Swedish oil and bitumen manufacturer – asked us for a communications campaign that would highlight a niche product segment, we got right to the heart of their business. 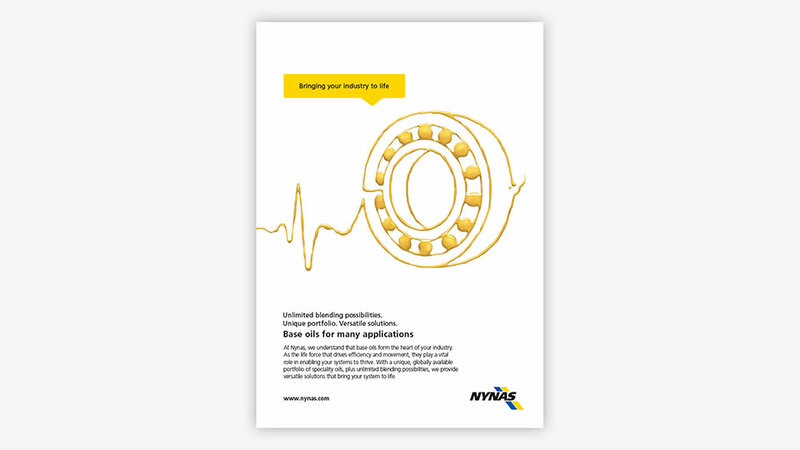 Through deep insight and industry research, we created a new visual identity and compelling content that captured Nynas’ role as an industry expert and leading provider of a vital resource. 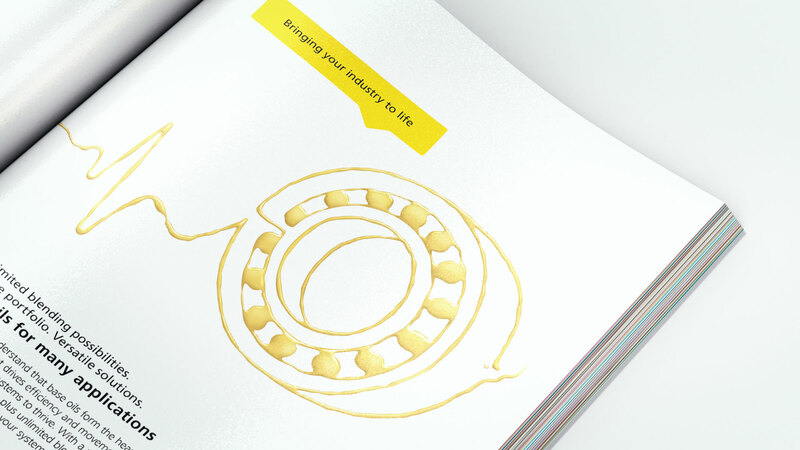 The new design concept and strong messaging was applied to a range of materials. 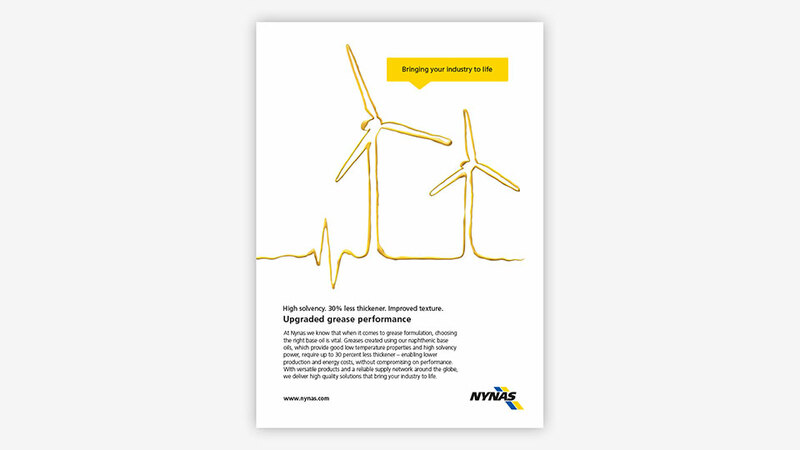 This enabled Nynas to showcase a strategic part of their business to new audiences and strengthen their position at the forefront of the industry. The main challenge was coming up with an eye-catching concept that creatively represented the product, its important role in the industry and Nynas’ rich history. This meant really understanding the product, how it is manufactured and its wide range of uses. 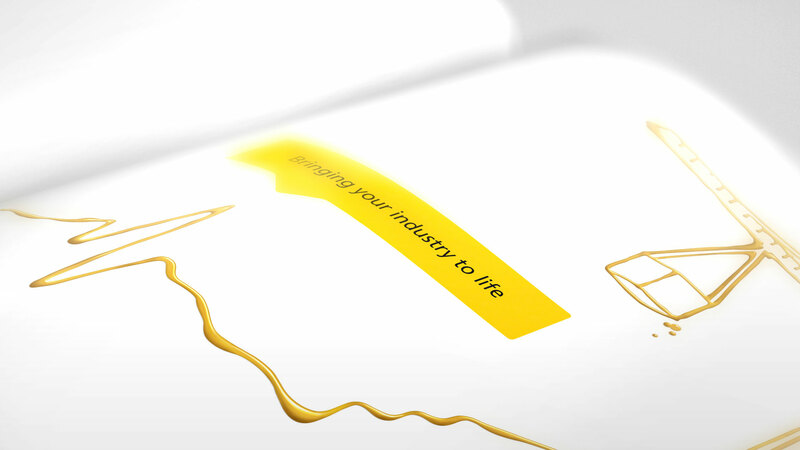 The result was the development of the ‘bringing your industry to life’ concept, illustrated by a line of golden oil that forms an ECG pulse, leading to an image of various industrial applications such as wind turbines, cogs and construction machinery. 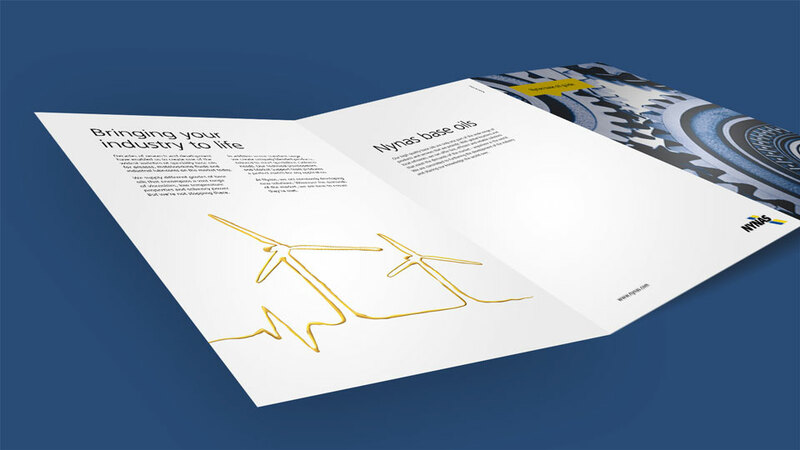 To support this new visual identity, we created compelling content including adverts, product guides, brochures, event giveaways, presentations and a range of online assets. 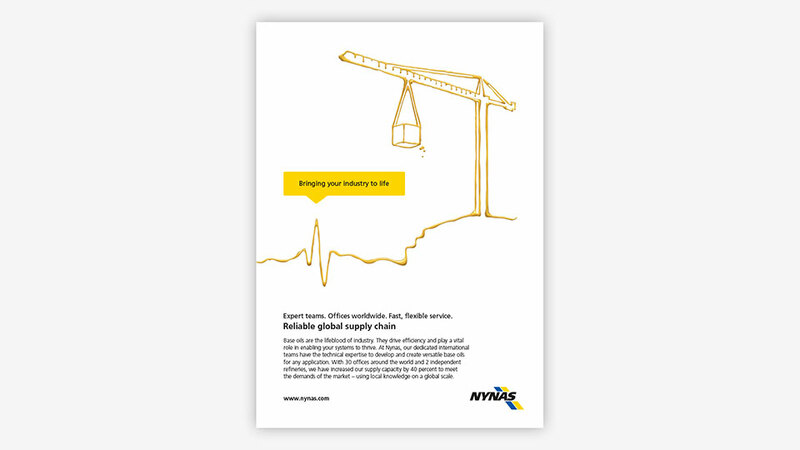 The key messaging was shaped around Nynas’ role as an industry expert and leading provider. We focused on the company’s USPs, emphasizing its capabilities to appeal to a worldwide audience. This has allowed Nynas to showcase a valuable part of their product offering to potential customers across the world. Here at Harleys, we take personal privacy seriously. This policy explains how we use your information, the choices you have and your rights. We handle your personal data with great care and in accordance with the European General Data Protection Regulation (GDPR). Some pages on this website will provide you with a way to get in contact with us via email. If you do choose to send us an email, we will only use the email and the information you’ve provided to reply to your enquiry. We advise you not to send any sensitive information such as bank details or personal information via email, as email transmissions aren’t encrypted by default. Received an email from us? Each email is intended solely for the addressee(s). If you are not the addressee or if you have received an email from us in error, please do not print, re-transmit, store or act in reliance on it or any attachments. Instead, please notify the sender and permanently delete the email. Unless otherwise expressly agreed by the sender of an email, this communication may contain privileged or confidential information which is exempt from disclosure under English law and this information may not be used or disclosed except for the purpose for which it has been sent. Computer viruses can be transmitted by email and you should be aware that emails may be intercepted by third parties. You are advised to check emails and any attachments for the presence of viruses as neither Harleys Global Ltd nor the sender accept responsibility for any viruses transmitted by emails and/or attachments. We also use the third-party service Google Analytics to keep track of basic performance statistics for the site such as visitor numbers and user behaviour, and to make the website more useful for new and returning visitors. The trusted suppliers we use follow stringent security and privacy protocols, and we encourage you to look into their own policies. Please get in touch if you have any queries or concerns in relation to the way we use your data. Our website contains links to third party websites in blog articles when these provide further reading or information. Any personal information collected by third-party websites that you visit from our site will not be affiliated with, stored or transmitted by Harleys Global Ltd.
Harleys Global Ltd have no control over specific login info or sensitive info for third party websites. Cookies are small text files that contain small amounts of information, which are downloaded by your computer or device when you visit our website. They enable our site to recognise which device you are using and remember you when you return to our site. This helps make your visit even better, but they are not necessary. If you’d like to block these cookies, you can do so by changing your cookie settings in your web browser. The content of this website is provided for your information. You acquire no rights or licenses in or to the website and/or its content. Unless explicitly stated you may not copy, reproduce, recompile, decompile, disassemble, reverse engineer, distribute, publish, sell, display, perform, modify, upload to create derivative works from, transmit or in any other way exploit any part of the website or content without our approval. We cannot accept any liability that may arise from using or downloading information from thinkharleys.com. Harleys Global Ltd accepts no responsibility for any errors in the web content presented on this website. All legal issues arising under these terms will be governed and construed by the laws of the United Kingdom. If you don’t agree to the new terms, we ask that you stop using the site/service. If you’d like to get in touch to learn more about our privacy policies, or anything else for that matter, please do feel free to do so.